Keen to capture as much of the Christmas market as possible, Argos added a pop-up shop to the main Mall avenue at the Centre. 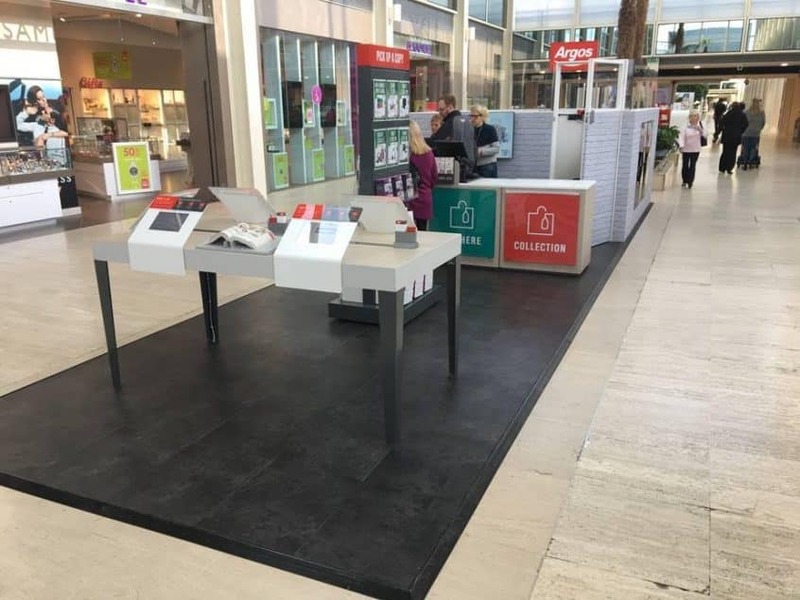 We supplied and fitted a dark stone finish floor with iridescent edging supplied and fitted for Brand Retail Ltd, who built and fitted the remainder of the display. Our cable management facility allowed them to wire in iPads to browse and order products, which we then brought out from their storage area.